This is one of my funniest scripted performances. 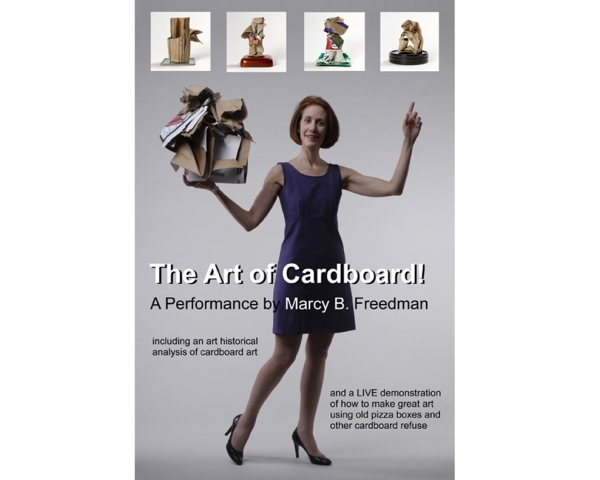 The full title is “The Art of Cardboard! 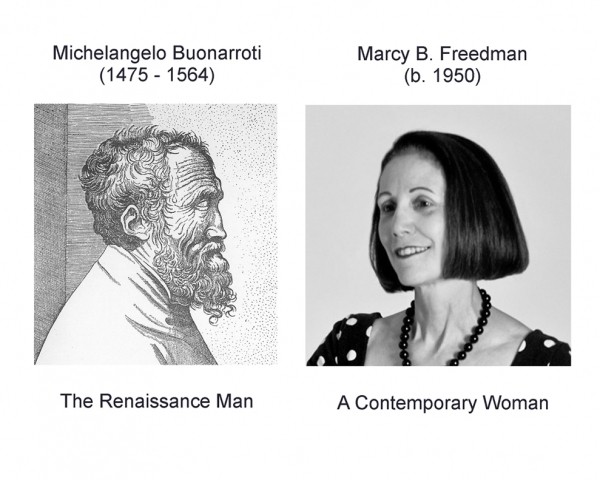 A Performance by Marcy B. Freedman including an art historical analysis of cardboard art and a live demonstration of how to make great art using old pizza boxes and other cardboard refuse.” Quite a title, yes? 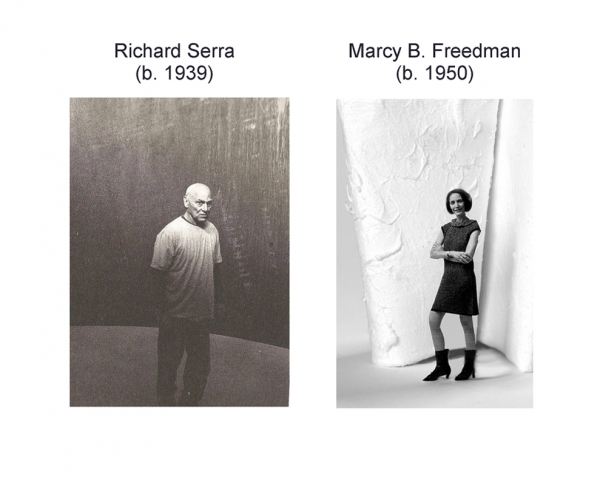 Then, I removed some garments to become a flaky, far-out, dim-witted artist who did a good job of showing how easy it is to create cardboard art. Her demonstration made the claims presented in the first half of the performance seem even more absurd.